A Dialysis patient emailed KidneyBuzz.com, "On dialysis for five years. My dialysis center - is closing their third shift and I have nowhere to go. The facility administrator states that no doctor will take me because I am a whistleblower and have made claims of fraud. This is retaliation and I am being abandoned because of this. Should I go to an emergency room as I have nowhere to go? Need legal counsel?" Many Chronic Kidney Disease patients conducting Dialysis can at times feel as though they are not a priority or 'just a number,' rather than an important person at their Dialysis Clinics. Some are fearful to point-out issues or concerns due to worry of retribution (punishment), reprimand or even being blacklisted as a patient. Well, news came about charges of a Patient Care Technician who may have actually physically abused one of her Dialysis Patients. Police arrested a dialysis center worker, charging her with striking a patient in the head with a towel and hand. Mary A. Battle was in the middle of her 49th birthday when she "whopped" a patient in the head with a towel at DaVita Affinity Place Dialysis, according to MSN News. Ms. Battle was charged with patient abuse and then released. An individual that saw the event suggested that the DaVita employee hit a female patient "in the face with her hand with so much force the woman's head lurched backward," according to court records. The unidentified witness went further to accuse Ms. Battle of telling “other staff members to watch the patient and said, 'Kick her a**' if she gets disruptive or out of line," according to MSN News. A DaVita Affinity Place Dialysis representative declined to speak or disclose whether Ms. Battle is still employed at the Mount Healthy Center. This is a sad report that highlights the kind of abuse that can take place in the Healthcare Community if left unchecked. By no means are all or even most Patient Care Technicians or Healthcare Professionals anywhere close to physically abusive or otherwise toward patients. Most respect Dialysis patients and enjoy their jobs. Still, there are a minority of 'bad apples' and poor Caretakers as well. Make sure that you get your copy of Dialysis Patients' Rights book so that you have the tools necessary to make sure that you get the best care possible. The Dialysis Patients' Rights book is not just a list of patients rights, it offers key insights, dozens of examples of issues and ways to correct, avenues to handle challenging common circumstances at dialysis without being confrontational or blacklisted, and more (click here). The book is the only definitive easy-to-read-and-use guide that empowers patients and gives them the confidence to address and correct whatever challenge they may be having at Dialysis without alienating Staff, Patient Care Technicians, and Healthcare Professionals. How do you deal with issues at your Dialysis Center? Have you ever felt like you were being retaliated against? Share your experience and insights with the over 77,000 Friends who have liked KidneyBuzz.com on Facebook (click here). 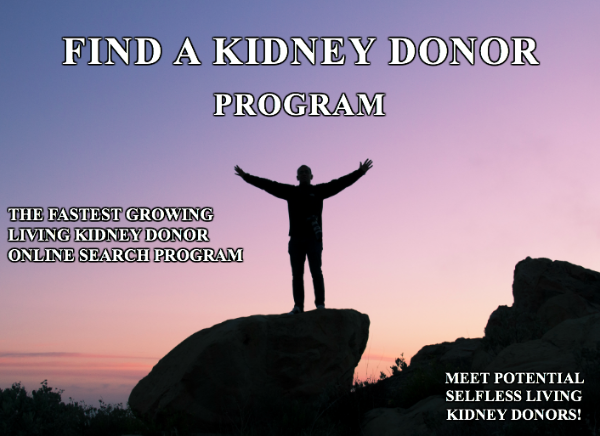 Also, follow the 250,000 monthly individual viewers who visit KidneyBuzz.com regularly for the latest daily news and information which teach those with Chronic Kidney Disease, Dialysis, Kidney Transplant, Diabetes, and Hypertension how to better manage and improve their lives. Erica Ashley Jenkins (Dialysis Nurse) said, "Hello I just wanted to let you know I work in a Dialysis Clinic and over half of our clinic reads this page, we enjoy everything you put on and love to have new information. My patients are very grateful."